Juniors honored Tuesday night were: front row, from the left, Kyra Wagner, Marlene Tejeda, Destini Phetxoumphone and Esmeralda Hernandez; back row, Caitlyn Asklund, Malaise Runyan and Dylan Schwering. Sophomore students honored included, from the left, front row: Ally Hanus, Sean Carver and Riley Plain; back row: Jenna Miller, Peyton Powell and Gemma Borer. 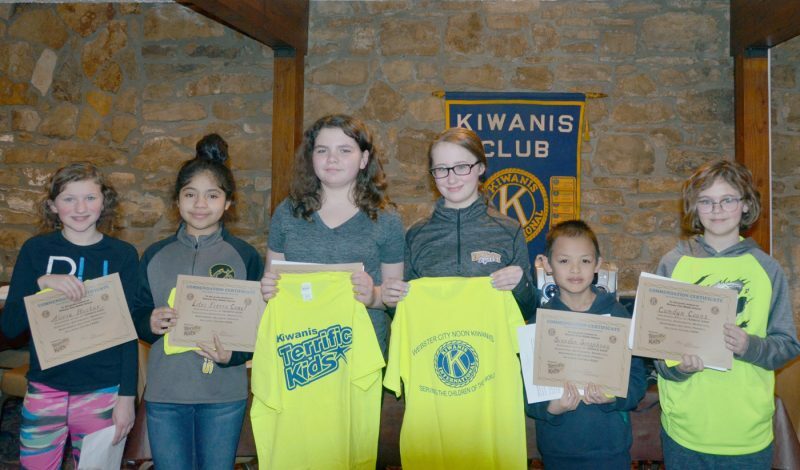 The 92nd Annual Kiwanis Honor Banquet, hosted by the Webster City Noon Kiwanis, was held Tuesday night at Trinity Lutheran Church. Twenty-eight Webster City High School students were recognized for academic achievement and other activities. The keynote speaker was Richard Stroner.